Elvish footballers and cunning monster hunters- Come check out this week’s batch of tabletop Kickstarter highlights! Greenbrier Games is currently on Kickstarter with the second printing of their cooperative horror board game, Folklore: The Affliction. Five players team up as monster hunters seeking to rid the world of evil by tracking down legendary beasts and supernatural beings. Upgrade and outfit your characters through a series of interconnected stories, each of which is divided into chapters that take around an hour to complete. 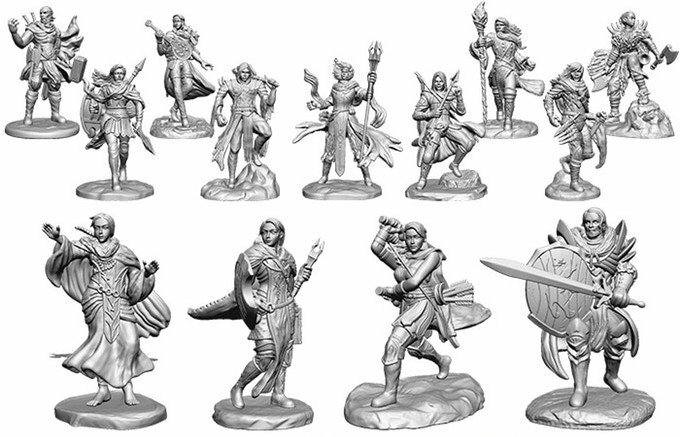 The base game uses double-sided standees to represent the characters and enemies, but Greenbrier is offering an optional set of 76 plastic miniatures as part of this campaign. 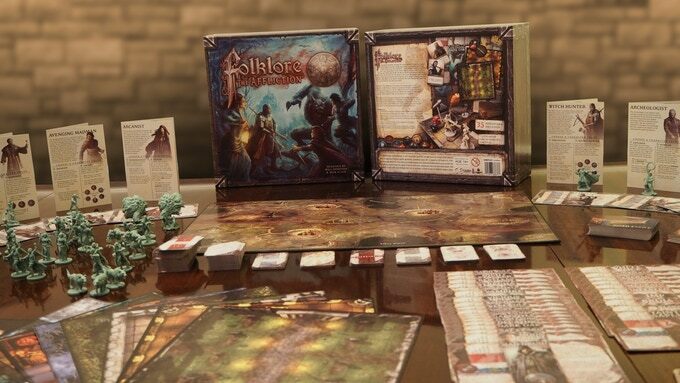 Existing Folklore owners can grab the new stuff for $30, with the core game starting at $60. The truly devoted might want to check out the $333 Mystic pledge that comes loaded with upgraded components and all the expansions. If you rather BE the monsters, then check out Monster Slaughter. In this competitive board game, each player controls a family of monsters racing to pick off a group of stupid teenagers having an alcohol-fueled party in a secluded woodland cabin. Each faction (and your prey) is inspired by ’80s slasher film archetypes and have their own set of unique abilities and behavior. In addition to the rival monster families, you’ll also need to contend with “surprise guests” that will try to get between you and your late night snack. You can buy the full game for €70/$81. 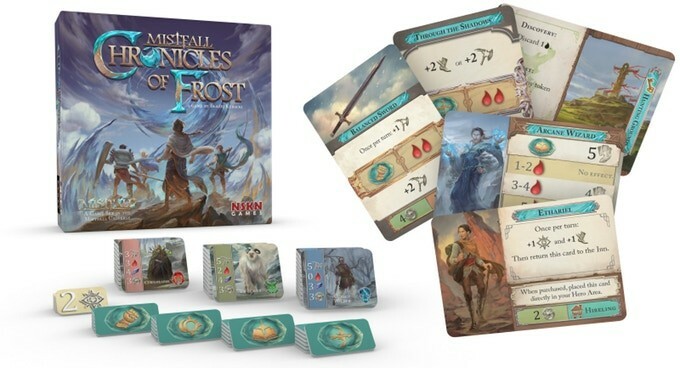 Chronicles of Frost is a new deck-building adventure board game set in the world of Mistfall. Forge your own heroic story and become one of Aestemyr’s greatest legends by exploring the board, defeating enemies, gaining new items, and recruiting allies. Play your hand and spend your resources to decide which effect to use on each card as you plot out your turn. The base game can be yours for $34, with an upgraded version available for $57 that replaces the Meeples and ally tokens with plastic miniatures. 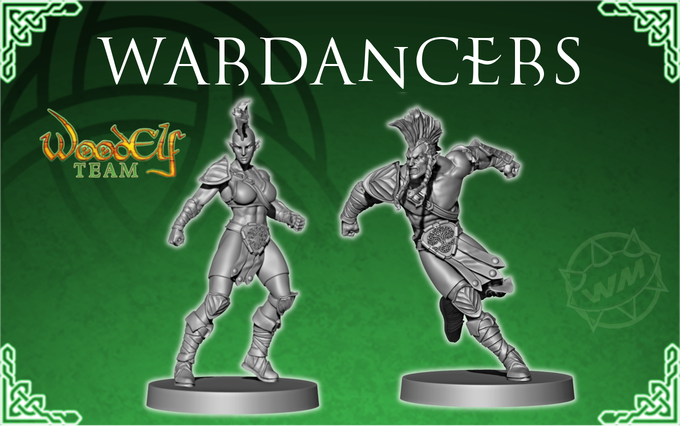 Willy Miniatures is a regular on Kickstarter with their ever-expanding line of fantasy football teams, and now they’re back with some Wood Elves. This new team is comprised of two Wardancers, four Catchers, six Linemen, two Throwers, and one Treeman, all cast in resin with no duplicate poses. You can get the full team for €55/$64. If those tree-loving elves aren’t your thing, then you can always pick up one of Willy’s other teams instead. Finally we come to War Room, one of the largest non-miniature board games I’ve ever seen. This WWII war game allows six players to recreate the war on a global scale. 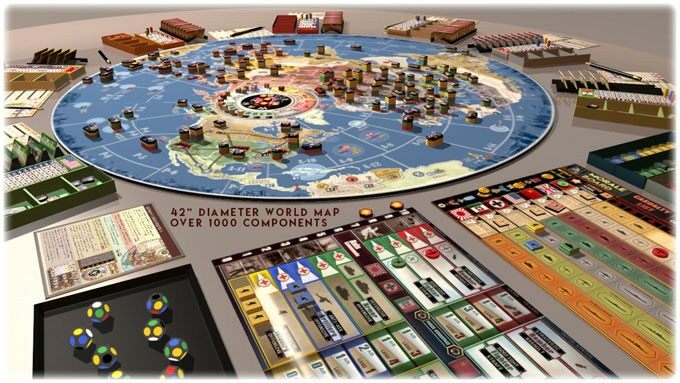 The game board is a 42″ (47″ if you get the deluxe version) diameter world map with four scenarios that allow players to control the main Axis and Ally nations of the US, British Commonwealth, USSR, China, Japan, Germany, and Italy. The board also contains numerous minor factions and neutral nations to invade or negotiate with. In addition to the massive game board, War Room is loaded with hundreds of stackable units, custom d12s, faction sheets, cards, tokens, and other components. Pledges start at $150.